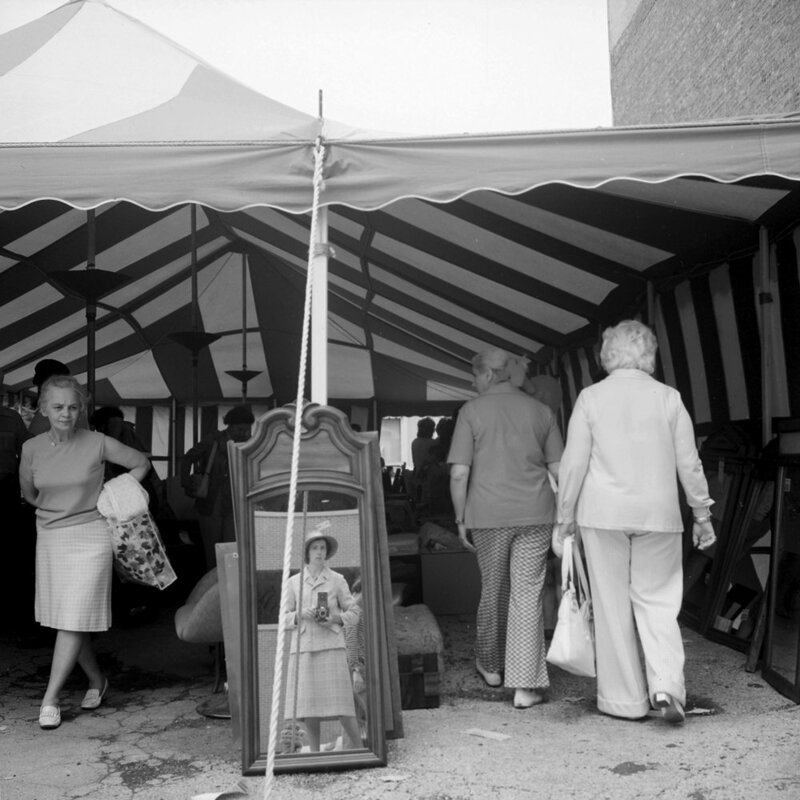 One of the top photography news stories in the last 10 years has been the discovery of, and subsequent news surrounding the photographer Vivian Maier (1926-2009). What made this story so worthy of attention was the manner in which the work came to light—the story and controversies that surrounded the dissemination of her oeuvre. Because Vivian Maier had no formal art training, the 2007 discovery of her vast archive of photographic materials—including over 100,000 negatives, undeveloped rolls of film, prints, color slides, home movies, audio tapes, and ephemera—brought her instant acceptance into a field hungry for new talent, not unlike the discovery of an outsider artist. In fact, there was so much material in the Maier archive that, even today, only a small fraction of her photographic works has been released. Many culturally aware people might have read that Maier was a nanny, that she had an extraordinary eye, and that she lived in Chicago. The short story most understand is that Maier died penniless, that her work was discovered in a storage locker, auctioned off to speculative bidders, and since then, a single work fetches thousands of dollars. The true story is finally revealed in a captivating new book Vivian Maier: A Photographer’s Life and Afterlife (University of Chicago Press) by Pamela Bannos, a professor of photography at Northwestern University. Bannos proves to be a dogged sleuth in her search for the real Vivian Maier, connecting disparate dots across the world, interviewing countless people who knew her (though it seems no one knew her well), and analyzing clues in the backgrounds of her images to provide locations of her photographic travels. Most interesting is the parallel story of the sideshow-like efforts to promote Maier by two of the storage locker speculators, John Maloof and Jeffrey Goldstein. Their desire to capitalize on the sale of her work, and rush it to market, delivered an incomplete and mythologized biography. Maloof, in particular, worked tirelessly to promote her by creating a movie, three photo books and securing top gallery representation in New York City. Only one collector of the original Maier photography owners, Ron Slattery, was smart enough to understand and respect the implications of copyright infringement laws. He was content to wait until all the legalities had played out, and heirs of the estate properly identified, while Maloof and Goldstein battled public criticism and complicated lawsuits. Goldstein, in an effort to free himself of the mind-numbing and numerous legal entanglements, sold almost all of his Maier material to a Canadian art gallery, further complicating claims by the probate courts of the Maier estate. And if that is not enough, that same Canadian art gallery then turned around and sold the works to a Swiss consortium of art investors. In this thoughtful and carefully researched book on Maier’s life, Pamela Bannos delivers one of the best photo-related books of 2017. The author takes the “mansplaining” of Vivian Maier away from two men who wanted to define her life for self-interests, and gives it back to us democratically and free of bias. In the end, Maier is shown to be not just a nanny who made photographs in her spare time, but a focused, hard-working and determined street photographer who took care of children in order to survive. Her visionary skills are already recognized by many curators and collectors to be in the top echelon of 20th century photographers. John Foster is a contributor to Don’t Take Pictures magazine, and a photography collector in St. Louis, Missouri.